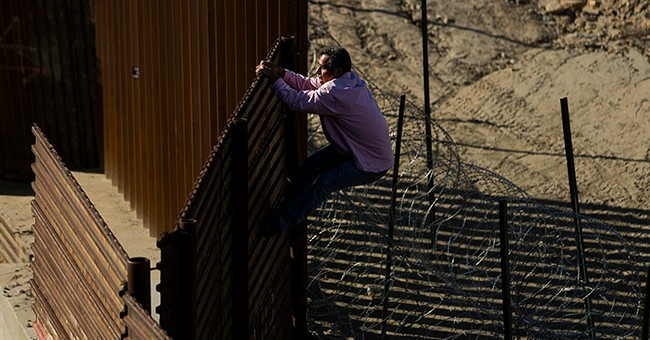 The small border town of Nogales, Arizona has issues with President Donald Trump's move to secure the border by installing contra wire along the wall. City officials have deemed the installation “irresponsible” and “inhuman," The Independent reported. On Wednesday, Nogales City Council passed a resolution that would sue the federal government if the barbed wire was not removed. 1. The Federal Government take immediate action to remove all concertina wire from the Border Wall and Fencing located within the Corporate City Limits of Nogales, Arizona. 2. No military force or the use of military type tactics designed to inflict indiscriminate harm be allowed in the City of Nogales without the Declaration of War by Congress of the United State or the Declaration of a National Emergency. 3. Staff is directed to take all necessary and reasonable actions in furtherance of this resolution. "I can't really imagine why this is necessary, especially in a downtown area where we're trying to build a business-friendly community, so close to an area where we've had economic problems in the past. This right here is not safe, for anybody walking through here. This wire is at ground level. It's not only at the top, but it's ground level," Nogales Mayor Arturo Garino told CNN. "Now concertina wire is being placed on that wall from the very top all the way to ground level, which is not safe for the residents of Nogales, Arizona, and it's not safe for anyone getting close to it," Garino said. “That wire is lethal, and I really don’t know what they’re thinking by putting it all the way down to the ground," Garino said. Apparently the City Council doesn't understand that contra wire is supposed to deter people from climbing the border wall and illegally crossing into the United States. They're worried about people getting hurt by the wire but that is exactly what it's designed to do. People who see rows of barbed wire and still decide to climb the wall are putting themselves in harms way, not the United States government.